So, today I went to Lush, and I haven’t been in there for literally about 3 years… I have been seeing tons of YouTubers doing Lush Hauls with all the christmas collection, so I thought I’d go and have a look and I got quite a lot! The first thing I knew I definitely wanted to get was the Santa’s Lip scrub. I am a massive fan of the lush lip scrubs, (the bubblegum one in particular!) so I was intrigued to purchase this! This is bright red in colour as you can see, and it has some edible hearts on the top of it! These scrubs are amazing, particularly in the winter time when you want to avoid chapped, dry lips! You just take a bit of this on your finger, rub it into your lips, and lick the excess off! (You don’t have to lick it off of course, but where’s the fun in that!) It tastes like cola which is awesome! This is a tad overpriced in my opinion for some sugar and oil in a jar, but hey, I still bought it! 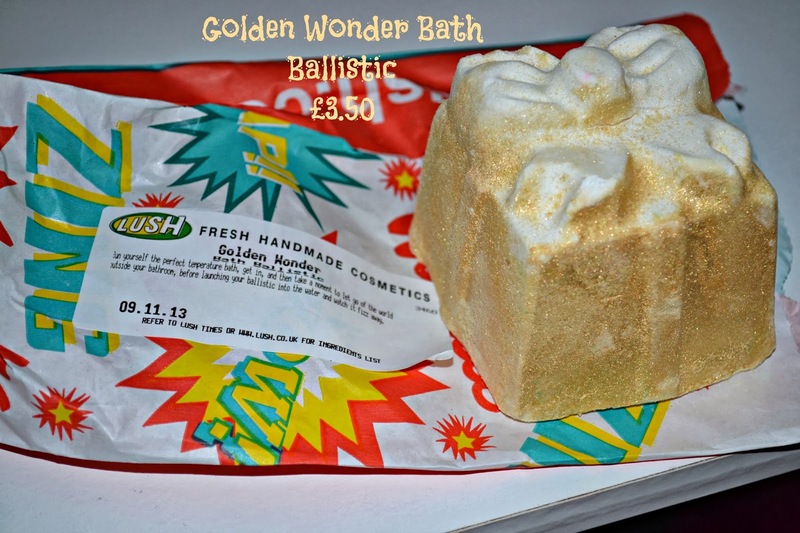 The next item I got, was the Golden Wonder Bath Ballistic, and I am so mega excited to try this out! This is HUGE, and its in the shape of a christmas present which is really cute! 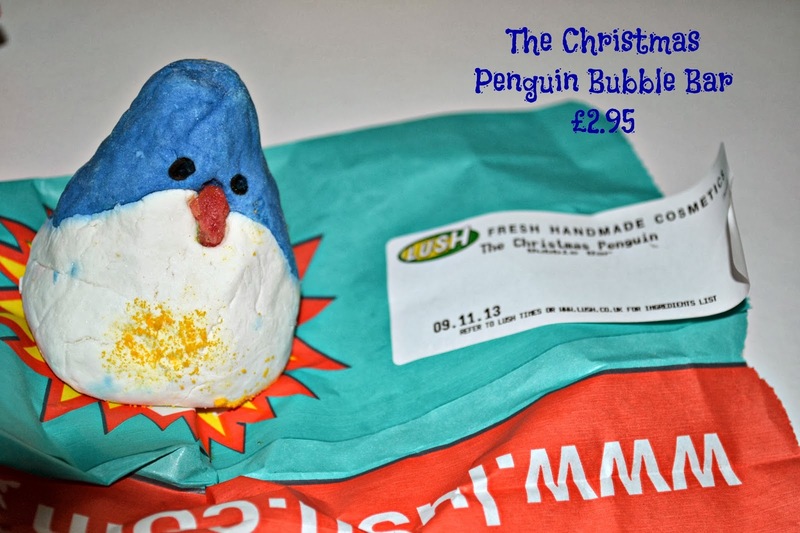 It has golden glitter all over this so this might make my bath messy! When you shake it, you can hear something rattling around, and that is some sequin stars inside of a bright blue shell! It smells really citrusy and fruity. Apparently this makes your water turn turquoise so I am very excited to try this! The Christmas Penguin is so frickin cute, I don’t think I can bring myself to use it!! 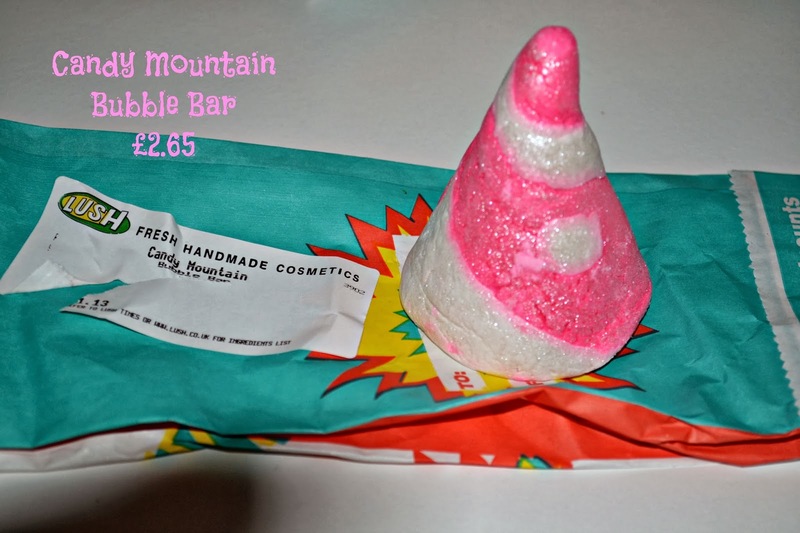 This is a bubble bar, so like Candy Mountain, you crumble some of him under running water which supposedly creates oodles of bubbles. I have never tried bubble bars from lush before, but they were doing a demo of one in the shop, and it looked pretty impressive! This one smells so amazing and fresh, and he also looks adorable! 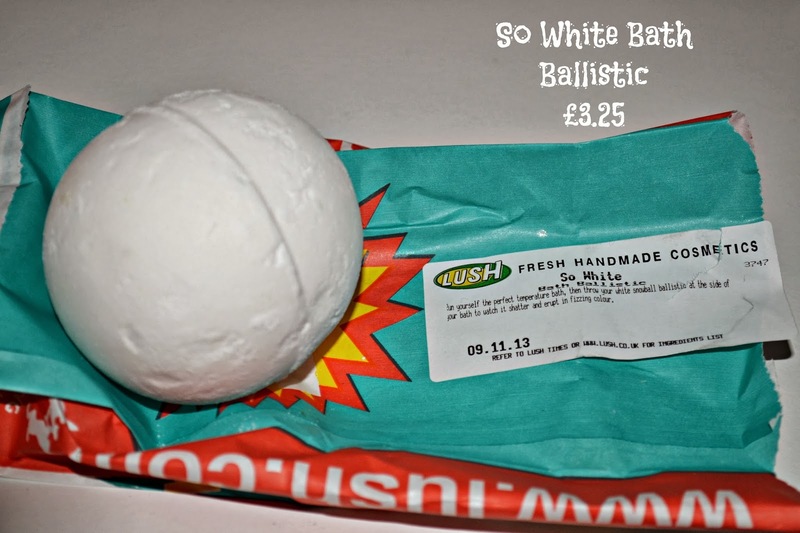 So, the So White Bath Ballistic does look extremely boring, I’ll be the first to admit, but I saw Zoe (Zoella) haul this and she said it smelt amazing! I went to smell it and oh my god, it smells heavenly… It supposedly smells like apples, but I can’t quite put my finger on it. It smells quite fruity and fresh, and just genuinely amazing! If you get the chance too, I would reccomend you go and smell this because even though it isn’t the most visually appealing, it smells ah-may-zing!